I love that this comes with extra pillow cases so I can change them more often and keep the colors consistent. Very soft, but somewhat thinner than expected. More a warm weather sheet, but prefer cooling sateen for that. This has more of a wooly feel. Cuddle up in comfort with this six-piece sheet set. Crafted from double-brushed microfiber yarns, the set offers soft breathability, and it's hypoallergenic and antimicrobial for cleanliness. 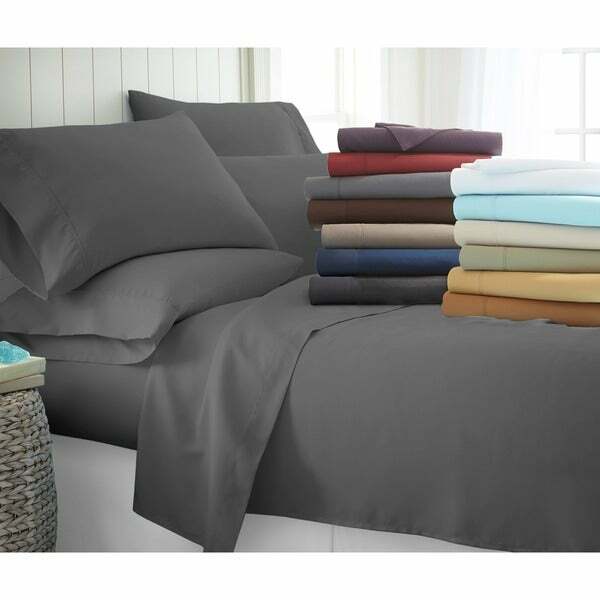 Available in a range of colors, the set offers a neat, fade and wrinkle-resistant foundation for your bedding, and everything is machine washable for effortless cleaning. 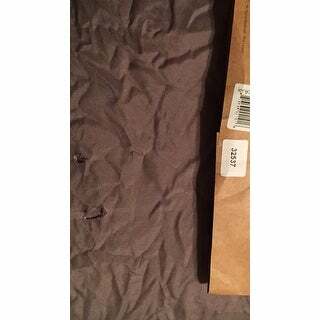 I ordered these based on descrition of X-Long fitted sheets indicating that they had 16 inch deep pockets. The label outside the package says 14 inches deep "fits mattress up to 16 inches" I am appalled at the deceitfulness of this . Fits great and so so soft. I have a 13 inch mattress and fit with plenty of room if I needed another inch or two. I have underwear from the thrift shop that is in better condition than this set!!!! Putting aside the inappropriate comment, this product is bad. 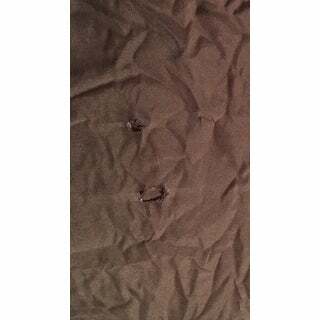 It didn't fit my bed (king, I tried every way), it's THIN, it attracts sweat, this is not 100% cotton, I'm pretty sure it's made in China, look up the worst buys from China and it will be there. Don't fall for the high stars or the lies. It's cheap- and you get "less" than what you pay for. Very soft and fit well on my 14 inch mattress. I would purchase these again. Nice and soft, fits bed good on my 10 inch depth mattress. Like the deep pocket. Deep enough to fit my mattress and 8 inch topper. I bought three sizes and colors of these same sheets for three bedrooms. I love all three. My guests in the new guest room loved them. They were so soft in putting them on the bed. I liked the idea of getting the comforters for the two guest beds and the sheet sets with the four pillow cases that come with each sheet set. They tuck in the pillows and turned around have the brand name and look like shams... I had no idea they would be of such quality for such a great price and the colors were perfect. just as expected. I will make one exception to the more taupe color, it was just a touch lighter which ended up being perfect in matching the bone comforter and decorative pillows purchased elsewhere. Because they were on sale and so inexpensive while ordering for two quest beds, I ordered a king size Cerulean blue for my bed. The color is stunning, relaxing to look at, and just incredibly comfortable. I'm so grateful for the sale when I purchased the sheets and that all worked our perfectly in decor. Grateful for the opportunities to obtain, then finding out the little extras, such as sewn in tag with brand name, how it fit the pillow in, and how nice it turned out for the guest rooms and mine. Open the package and fitted she was fine. Not ultra soft but soft. 2 pillow cases have holes in them!!! No good quality at all. Disappointed! These sheets are just wonderful. 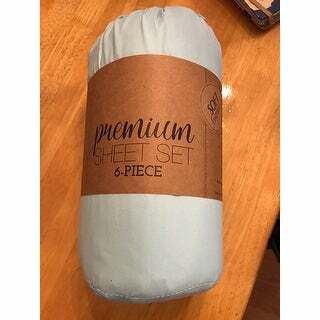 My sheets are so soft,wash well,have 4 pillowcases and are reasonable priced.I wish that I could give them more stars because this is a quality sheet set. I guess you get what you pay for. These sheets aren't terrible but also not high quality. They are nice and soft but very thin. The gray looked dark like charcoal on my computer but it's a very light, sorta brownish gray. Overall, my kids don't care so I'm ok with that. Nice, soft and comfy, easy wash. This bed sheet set washed beautifully, kept its smooth fit and softness. The deep pockets made bedmaking much easier for one person working with a queen sized bed. The sheets are perfect for this hot, sultry weather. Truly does not wrinkle. VERY soft. Very soft sheets- quick to dry, and thin (almost microfiber-ish), in really cute packaging. I’m glad I purchased two! Love that 4 pillowcases are included! Seems like an excellent deal- I am very pleased! Quick delivery and packaged nicely. They are soft and fit my bed perfect. I have bought 5 of these in the last 2 years because I love them so much! Beautiful color. We have the dark gray. They hold up well after multiple washing. One year later, there is no fading. The fit perfectly on our king size Nectar bed. Theyre very soft and comfortable. The blue I bought was just as bright as the picture. Super soft and they feel like a million bucks! "Do the darker color sheets bleed dye on the comforters?" Not at all. I haven't had any issues. I think they are perfect sheets. The burgundy set I bought are so comfortable. But I only wash them with alike reds as they do tend to not mix well will whites. That said nothing mixes well with reds! Not at all! Wash them first, just because you should always wash sheets before using them. 😊 I did not notice any release of dye in the wash, either. I have the aqua king sheet set. "Has anyone tried putting Queen sheets on a European mattress of 160x200 cm ? European sheets are awful and awfully expensive. I'm hoping the microfiber is stretchy enough to accommodate a slightly wider (but no pillow top) European mattress"
"Is the elastic all the way around or just the corners?" Elastic goes all the way around, nice deep pockets. The fitted sheet has elastic all the way around it, and makes a nice fit for the daybed. Hope that answers what you needed. The elastic is all the way around and it makes your sheets stay fixed and snuggle. "Do these sheets “crawl” on the bed like most micro sheets do?" I haven't had a problem with them at all. "The package says it has 16 inch pockets. Don't think they will stretch to 18 inches." "I need 18 inch deep pockets. Are these sheets 18 inch?" I have a thick mattress and measured the corner of the sheet where the seam is. It is about 13/14 but does stretch. Believe the package says 18 on it. "Will it fit 17" mattress?" Yes it will. Sheets are very soft. Yes, easily and just what cookie said... these are so soft and super comfy!! Love them! My bed is 14 inches high, they fit very nicely, the softness is incomparable! I'll never order other sheets than this kind!